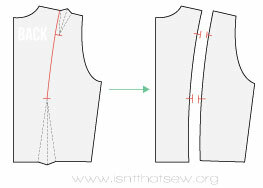 How to create the classic princess seam pattern from a two dart bodice. There are a few different styles of princess seams. 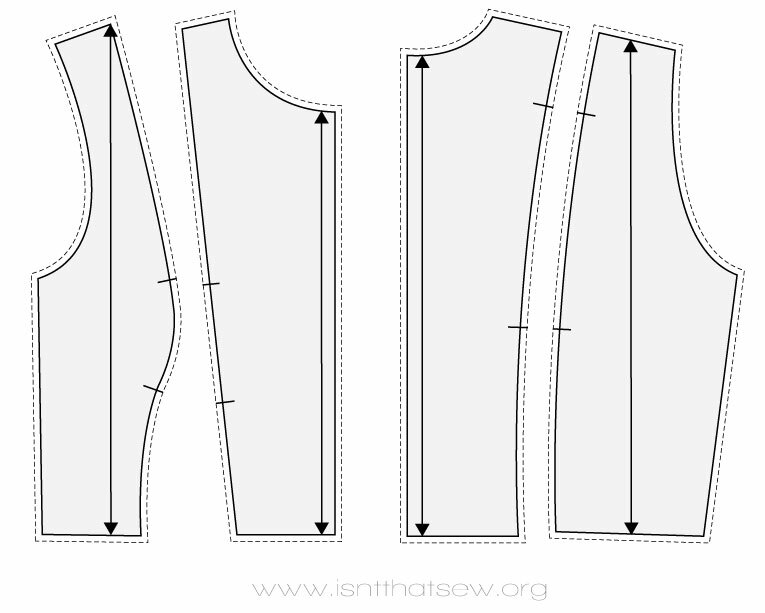 In this article, we will look at the classic princess seam, which originates from the front and back waist darts and continues through to the shoulder darts. The two dart bodice is used for to make this classic pattern. Step 1 Trace the front and back of your two dart sloper. Step 2 Draw a style line from the mid-shoulder to the bust point. Measure 2″ up and 2″ down from the bust point and mark. These markings will later become your notches for sewing. Step 3 Continue the style line from the mid shoulder, through the bust point, and down the inside dart leg. Measure in 3/4″ from the bust point and mark as X. Starting at the same mid shoulder point, draw a style line through your mark and connect to outside dart leg. Step 4 Cut and separate pattern, removing the dart excess. Step 5 Retrace your front outside panel onto new pattern paper, making sure to mark notches. Cut a slash line from the center of the side dart to point X created in step 3. Cut to, but not through point X. Slide dart closed and tape. 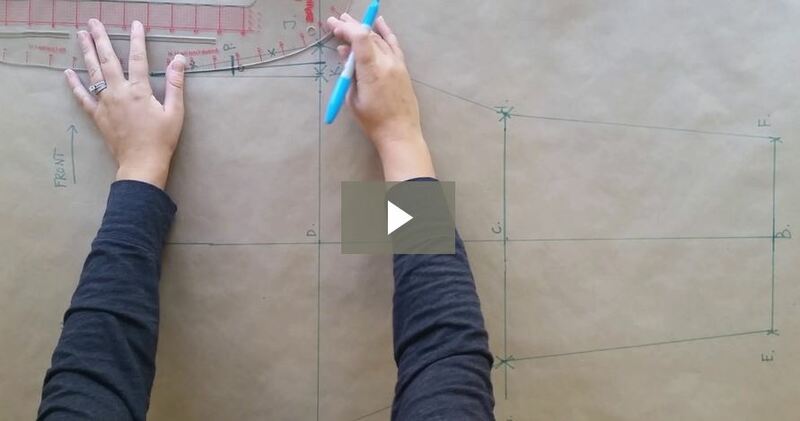 Step 6 Shape and blend the bust curve using your pattern making rulers. 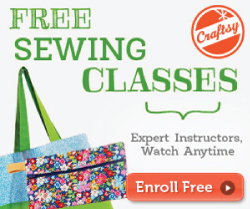 You will want to “walk” your patterns to make sure all seams are the same length. Step 7 If more ease is needed, slash and spread from the bust point to the side seam and separate as much as necessary. 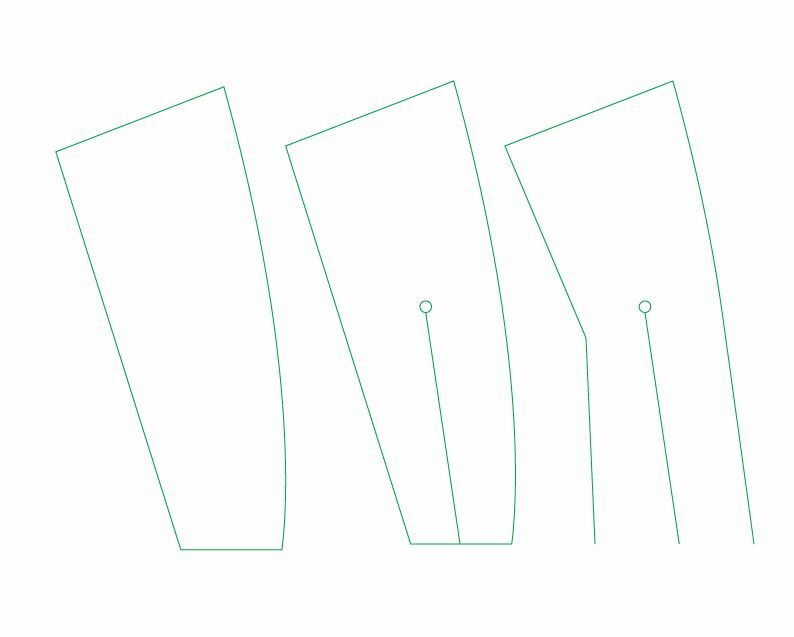 Retrace the new pattern, shape and blend new lines, walk patterns again to ensure all seams are the same length. Generally, you will do this step after sewing and fitting a muslin. Step 8 Trace the back two dart bodice. Using your vary form ruler draw a princess line from the shoulder dart to the waist dart. More than likely you will need to shift over the shoulder dart point to be in line with the waist dart point. Be sure to cross mark both dart points, as these will later become your notches for sewing. Step 9 Continue the princess style lines through the inner and outer dart legs, removing the dart excess. Cut and separate. 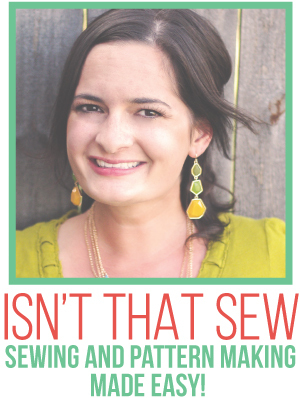 You will want to “walk” your patterns to make sure all seams are the same length. Step 10 Add seam allowance to all pattern pieces. In the industry, 1/2″ is generally used for side seams and 1/4″ for necklines. Also, make sure to transfer the notches and grain lines. Hey there – there are a few different ways to make a princess seam. 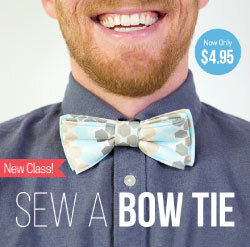 You can go from the shoulder, arm hole, or side seam. With that said, the illustrations are just that – they are illustrations and are not true to scale patterns. Sorry for any confusion. 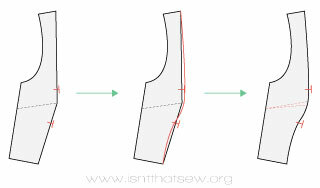 Hi, I am interested in the detailing, n, drafting of a shirt or tunic where the shoulder height is raised high about an3/4of an inch in the back body sloper. In that case the width of the shoulder back may in crease than the fro t shoulder, if both the patterns are run thru at shoulder. Can you give an explanation to how match the 2slopers in this case. By ‘shoulder height is raised’ do you mean a built up neckline? I will send you an e-mail. Thanks to this site and efforts on putting it online. 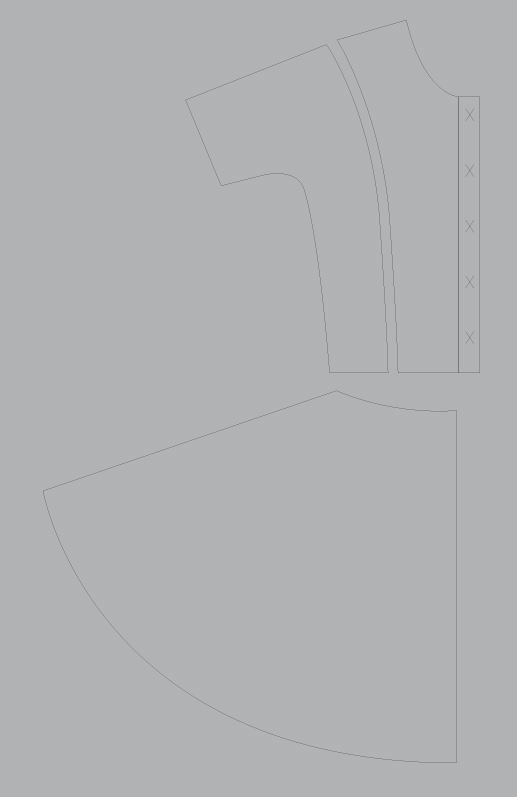 The write up has given me an idea in how to create princess cut pattern. My problem is a bit difficult to describe, but here goes. I have a basic toile which fits me like a glove and I have an old dress pattern where the bodice has a princess seam from the shoulder to the waist attached to a circular skirt. The side panels are extended slightly over the end of the shoulder and forms a slight loose sleeve cap, there is no actual armhole shaping as the side seam on the panels go slightly diagonally from the waist up to the shoulder seam. The back of the pattern fits my toile, however the front four panels when joined together are a couple of inches short under the arm at each side (therefore they don’t meet the back and the waist is too small), there are buttons all down the centre front. How do I increase the waist on the front without having lots of fabric falling over my shoulder making it look more like a batwing sleeve. I do like your instructions in image form, they are very easy to follow. Oh wow! Okay..it is complicated. I think I’ve got the gist of the pattern, check out this image..is this how the pattern looks? So, what you’re saying is that the front pieces are not wide enough to wrap your around your front waist? Do I have that correct? Lol, nearly. On the left hand side follow the line from the waist in a straight diagonal line up to the shoulder, there is no obvious sleeve as on your drawing. The shoulder seam is just extra long so that the extra fabric falls over the shoulder a couple of inches, but it’s not actually a sleeve. That’s the problem, as the left panel isn’t wide enough to wrap around my side (I am 2 sizes bigger than the pattern – carrying extra weight on my waist and large busted) and if I just extend this diagonal line a couple of inches sideways then a larger piece of fabric will fall over the shoulder and possibly down to the crook in the arm, when in fact it is just barely there. The armhole looks like just a slit. The diagonal from the waist to the shoulder is not as pronounced as in my drawing, otherwise I could have maybe widened the bottom only. Hope you can help. My attempt at using the keyboard for drawing hasn’t worked. Think of a 95 degree angle at the waist joining the shoulder at an 85 degree angle in a straight line. OK! I think I gotcha! I think you have 2 options. 1. Create the a ‘sleeve’ out of the upper portion, by creating a seam on the outside piece. 2. Slash and spread up to the bust point and widen the waist. Unfortunately, I’m afraid there is no standard width. But, what I can tell you is that on my blocks, I use a 3″ dart that folds to become a 1.5″ dart. I hope that helps!